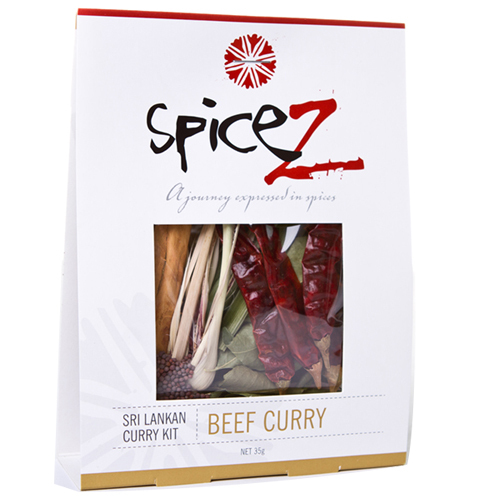 SpiceZ Curry Kits are designed to take you on a journey into the exotic world of spices. 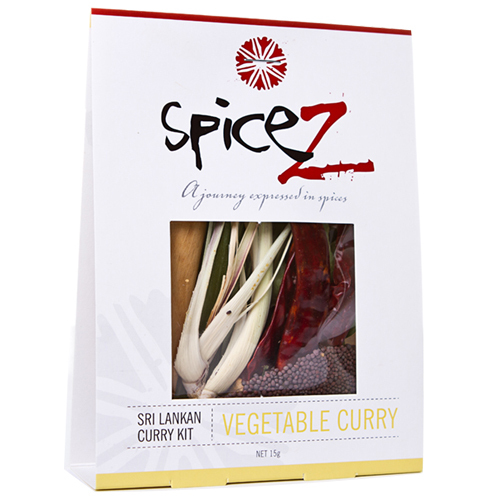 Our Curry Kits include 2 sachets which contain all the dry flavouring herbs and whole spices as well as the carefully measured spice blends to create authentic Sri Lankan Curries. Each kit includes a step by step recipe but leaves room for you to add your own unique touch . We source the best quality whole spices available, hand roast, grind and blend them on our own premises to ensure consistency and quality. 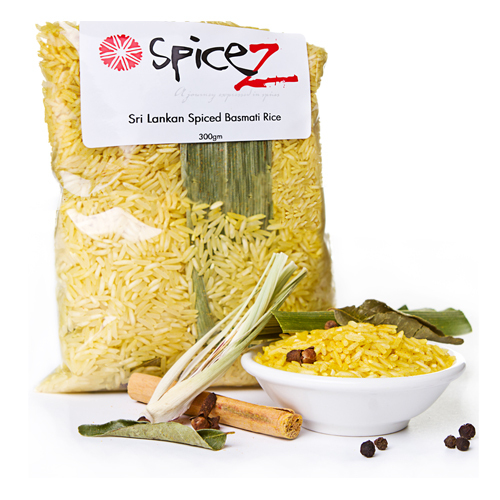 We make small batches every week so that our spices retain their aroma and flavour. 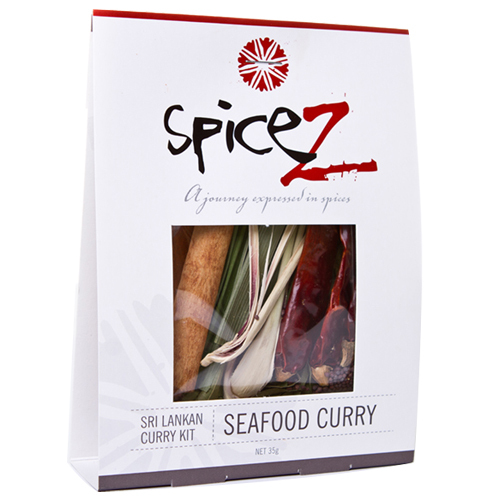 The flavouring herbs of Rampe, Lemongrass and Curry leaves are locally harvested and dried to ensure quality and freshness. Because you have to add the fresh ingredients it gives you the opportunity to use the best local produce available. 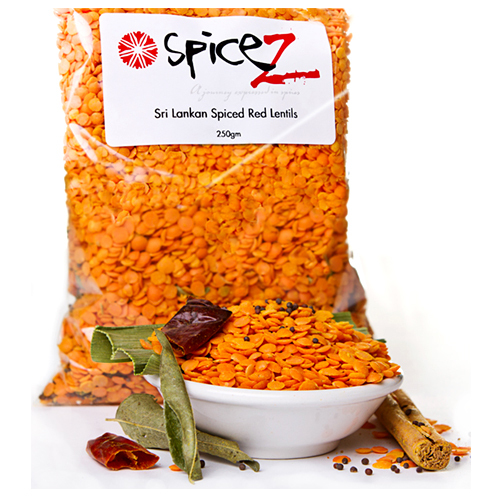 We sell whole and ground individual spices, as well as manufacturing our own range of Sri Lankan, Indian and Middle-Eastern spice blends. 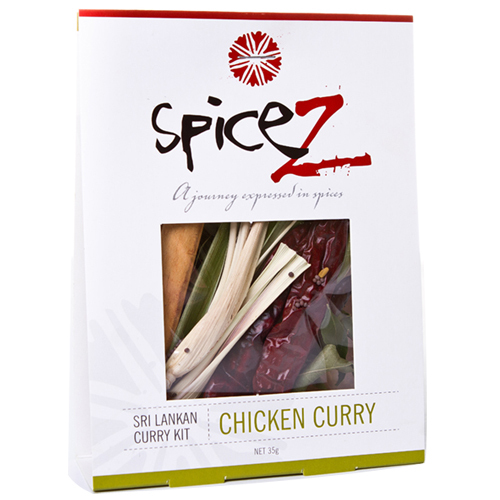 SpiceZ loves the challenge of designing and creating special blends for the home cook or restaurant chef. We make the blend up to your recipe or create one for you.